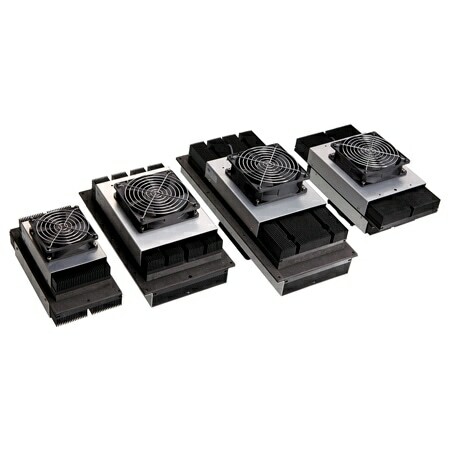 The air to air thermoelectric coolers employ forced air convection provided by IP54 axial fans. It forms part of the standard range which provides assemblies from 60 to 200W. The FGT100 and FGT200 series thermostats are available for control.